1. 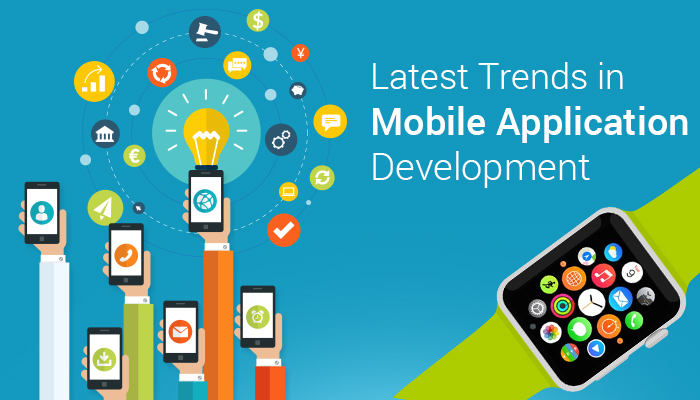 Independent Wearable Apps: Development of apps for smart watches and other wearable devices has been one of the most noticeable trends of the recent times. What’s interesting is that many of these smart watches are still not independent of their mobile OS. Be it Apple watch app development or any other, this lack of independence has been an impediment. However, recently these apps are showing signs of independent control & other functional aspects. Technology is being developed to create wearable device app that works independently of its mobile OS. Google Glass, on the other hand, was never dependent on its mobile OS. 2. Multi-Player Gaming: Mobile games are popular with all ages. Moreover, developers have found a way of connecting mobile games with social networking. However, the new trend is the development of multi-player mobile games. This marks the beginning of a new trend in the field of mobile gaming. It promises to hook people onto it, and social media integration with further strengthen the concept. 3. Swift Programming: Swift is the new iOS development language. It has promptly become popular with various developers. One of the prominent reasons for the same is this development language brings together various coveted development features. Take the example of its ruby-like functional programming languages or even inferred data typing or on the fly sandboxes (also called Playgrounds). While all these features have existed in the past, Swift is the first one to bring them all together.It has been just about a few months since its launch, and it already has more 20% of the developers using. This number explains the popularity of the language. 4. Location Based Marketing: Strong apps are being developed that make use of the user’s location. By the virtue of this knowledge, various new features and deals are being offered. Let us take the example of an app that provides location based offers to the customers. When a mobile user moves to a new city, as determined by his/her mobile phone location, s/he is provided with offers from that city. This is extremely relevant for businesses in order to engage customers and increase sales.There is a complete range of other location based apps that are being developed on the way. Beacon & Geofencing have already prospered by using Location Based information. There are other apps that automatically put the phone on ‘Home’ or ‘Driving’ mode by extracting the smart phone’s location based information. 5. Parallax Scrolling Integration: Any mobile app that is developed, the most important aspect of it is to build great user experience design. If that has been done, it becomes possible to gain interest of the customers and also get them engaged with the application. Parallax Scrolling Integration is one of the ways of doing that. It significantly improves the user experience of the application, and brings better results. 6. Cross Platform Development: Developers want their apps to work across platforms. That is why cross platform development is picking up in popularity. It is believed that about 30% of the developers make use of cross platform toolkits. There are various platforms available from cross-development. These include Sencha, Appcelerator Titanium, PhoneGap, and Xamarin among others. No single platform has proved to be dominant yet. 7. M-Commerce Solution: Last year, Apple Pay was launched. Once that was done, a range of other new E-Wallets were launched alongside. Interestingly, newer ways of authentication methods were brought to the fore too. This has put immense interest in the development of m-commerce solution. Starbucks is said to have launched its own in store mobile commerce platform. This then combines with its loyalty program too. There are other examples of how m-commerce is being used strategically.